1. Move Up Spring Cleaning – No matter what time of year it is, do your spring cleaning. Declutter, depersonalize some and make the home look roomier. The way we live in a home and the way we should sell a home is different. Go through each room and look at your home objectively and see what you can toss, donate or sell. Most of us have 1/3 to 2/3 more than we should have out when selling. One of the benefits is that it will be easier to show with less "Stuff". Let the sunshine in by having your windows clean. 2. Stage Your Home – Whether you hire someone or do it yourself, this is the time to rearrange your furniture to make your rooms look bigger and brighter. Small, inexpensive items can make a huge difference. Maybe new throw pillows, curtains or a rug will add a fresh feel. 3. Think it Through – Before you spend money on renovations and upgrades, think carefully and don’t overspend by guessing. Be careful with putting lipstick on a pig as we say in the South. What? That means don't spend money on something that most buyers will likely rip out. 4. Take Care of The Honey Do List – Almost every homeowner has one. It is time to make the minor repairs. A buyer will multiple every repair cost by 5 or 10 in their mind. 5. Research your Real Estate Agent – Hiring a real estate agent is critical to your success. Take the time to look at what others say about your agent and make sure they have the success, skills and expeirence to get you the results you desire. So how do you know? Go online and research. There are many places to see what past clients have said about the experience like Realtor.com, zillow and yelp. We love our raving fans. 6. Check out the Competition – Go see homes listed for sale in your area and adjust your timing, staging and pricing based on the market. You can watch the market easily online on our site. You can see homes for sale, those under contract and sold properties for your neighborhood. 7. Prepare Mentally – Selling a home can be stressful. Be prepared for low offers, picky buyers, drop-by agents and odd terms. Prepare yourself now so you will take them in stride when you’re on the market. Our goal for our client is to sell for the most money in the least amount of time. 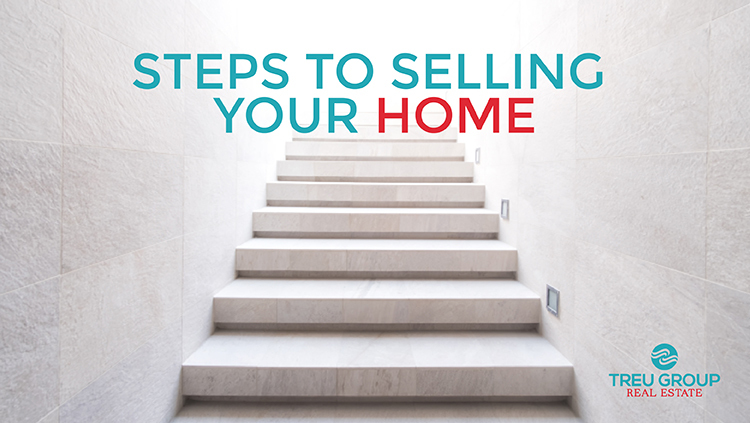 Selling a home is not fun during the process however a great real estate team can help make it easier and more successful. Who is ready to sell? We are here to help you.